Dr. Sean Palecek is a Professor of Chemical and Biological Engineering at the University of Wisconsin at Madison. He is also affiliated with the Department of Biomedical Engineering, the Stem Cell and Regenerative Medicine Center, and WiCell Research Institute. He received his B.Ch.E. in Chemical Engineering from the University of Delaware majoring in chemical engineering with a minor in biology, M.S. in Chemical Engineering from the University of Illinois at Urbana-Champaign, and Ph.D. in Chemical Engineering from MIT. Palecek is also Principal Investigator of the Palecek Group, with research interests that include cellular engineering, tissue engineering, stem cells, intercellular communication and robust cardiomyocyte differentiation. 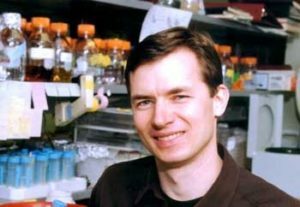 His team at the Department of Chemical and Biological Engineering at the University of Wisconsin at Madison identifies chemical and mechanical cues that regulate human pluripotent stem cell self-renewal and differentiation, then uses those principles to design culture systems that apply those cues in the appropriate spatial and temporal manner. His team has developed a protocol for the differentiation of stem cells which is uniform, inexpensive and far more efficient than alternative strategies. The protocol is both efficient and robust. The ability to make key heart cells in abundance and in a precisely defined way is critical because it shows the potential to make the production of large, uniform batches of cardiomyocytes. He is interested in characterizing the nature in which quantitative changes in the flow of cellular signals and cellular signaling networks can control a wide variety of cellular processes in order to design strategies to stimulate or inhibit cellular signaling pathways either at the chemical or physical level, and thereby regulate cell functions. Stem cells make differentiation decisions based on signals from their microenvironment and he is likewise interested in how adhesive forces and mechanical strain affect self-renewal and differentiation. Palecek is a recipient of a National Science Foundation CAREER award.